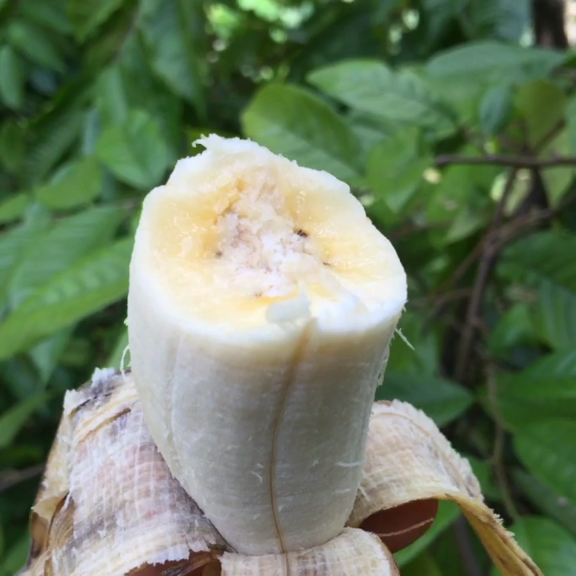 This week we harvested a lot of nam wah bananas, which we have available for pre-order and freeze-dry! 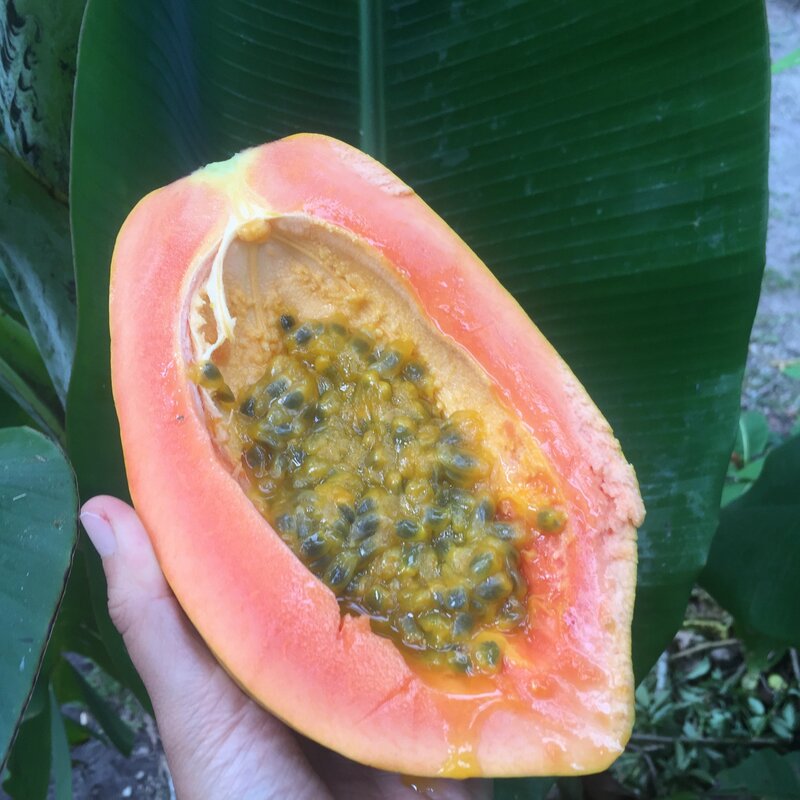 We have plenty of Caribbean papaya and even some amazing passionfruit to put on it, which is an ultimate combo in my opinion. 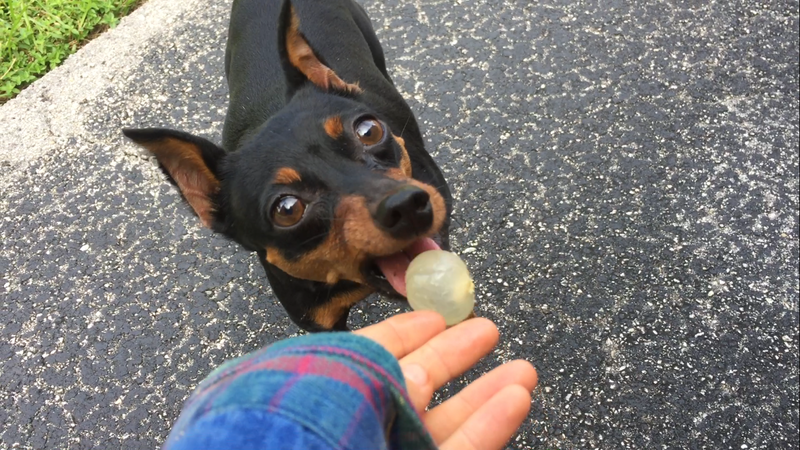 This dog loves longans! Don't forget to use the coupon code "longanlove" for $5 off a longan box. Hurry, this offer expires Tuesday! Here is a pic of John holding a rare rack of bananas that had a space on the tail in between the rack. One of our lucky customers got this bunch in their box. 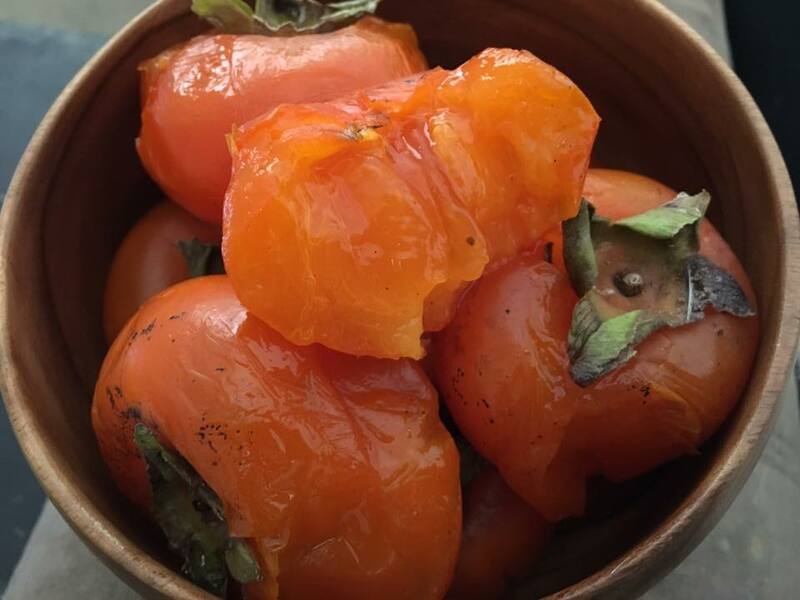 Check out this pic our customer Stephanie took of her Miami Fruit tropical persimmons! 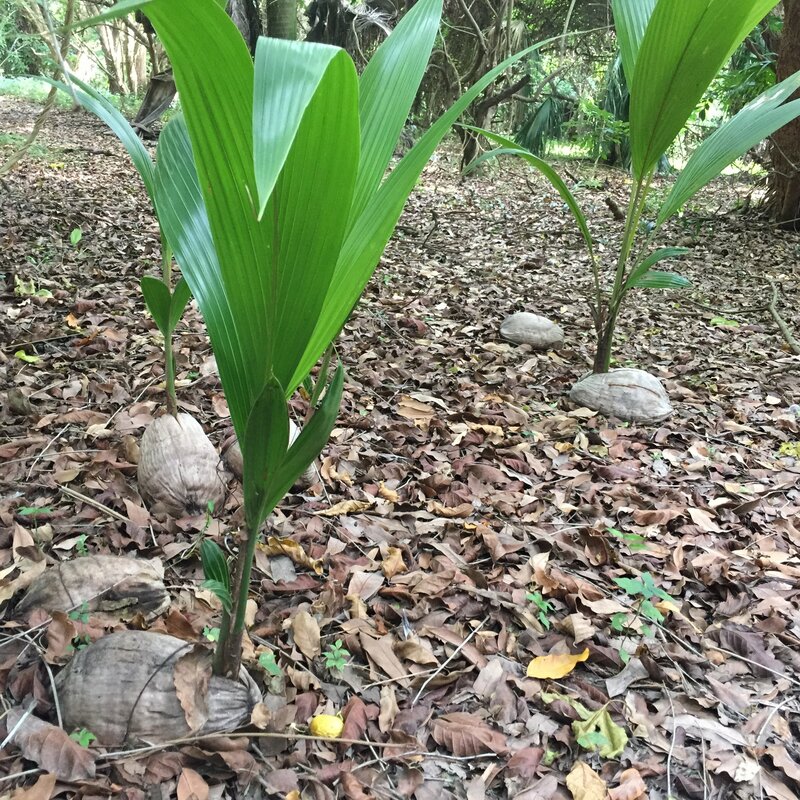 Here is a bunch of sprouted coconuts growing at one of the jungle farms we visit every week. 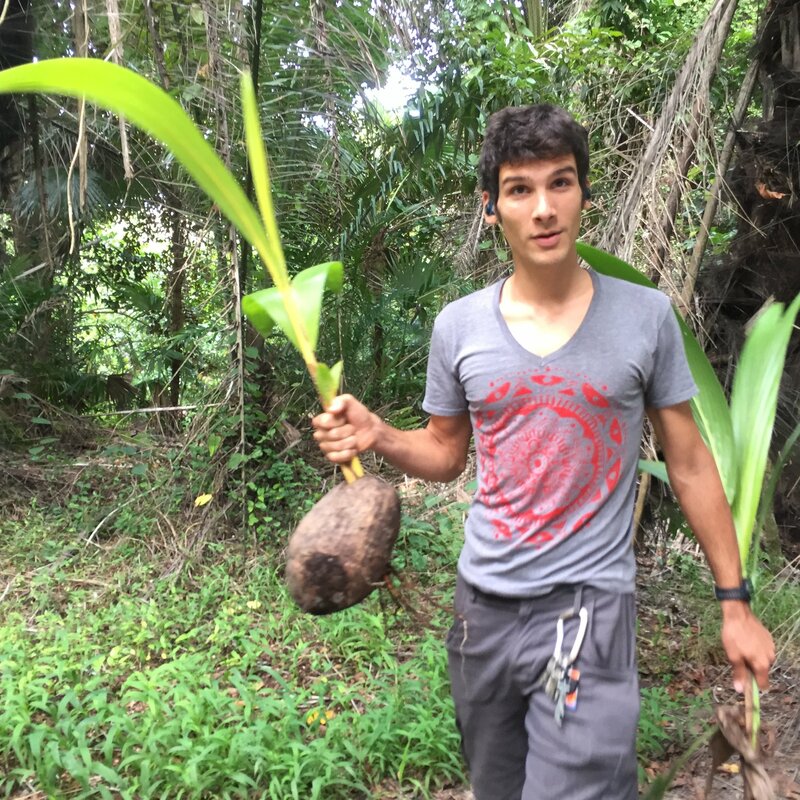 Rane in his element harvesting coconut sprouts. 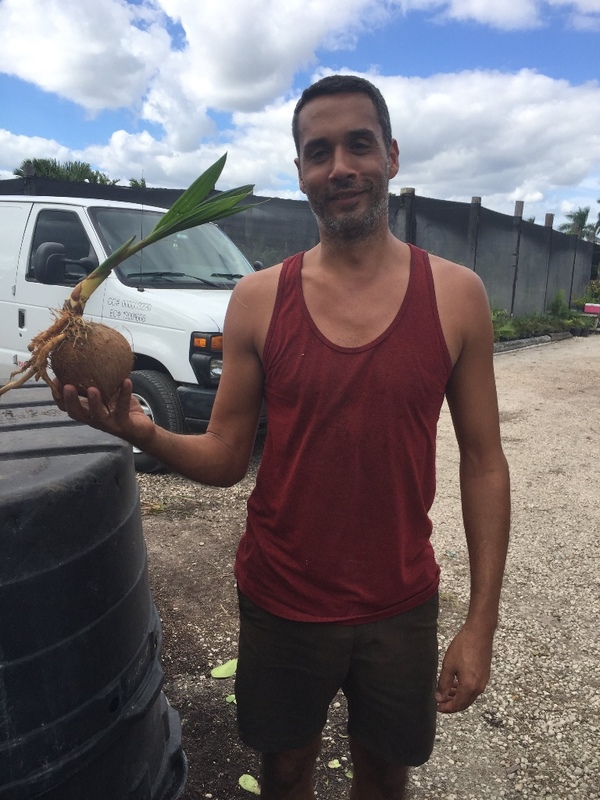 One of our awesome farmers named Don organized all his sprouted coconuts in a beautiful pile for us. 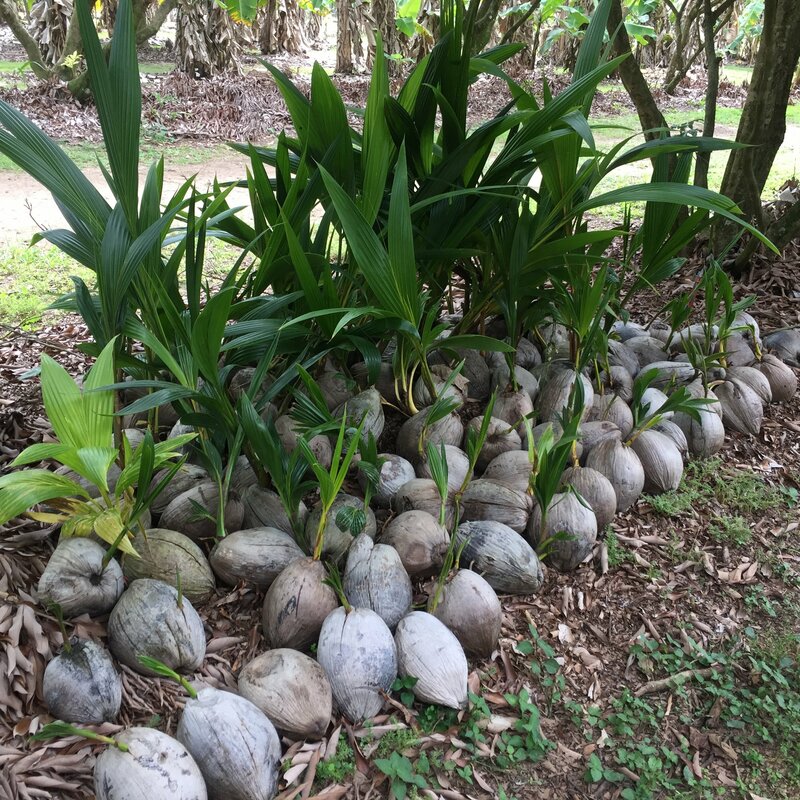 This is what sprouted coconuts look like before they are husked. 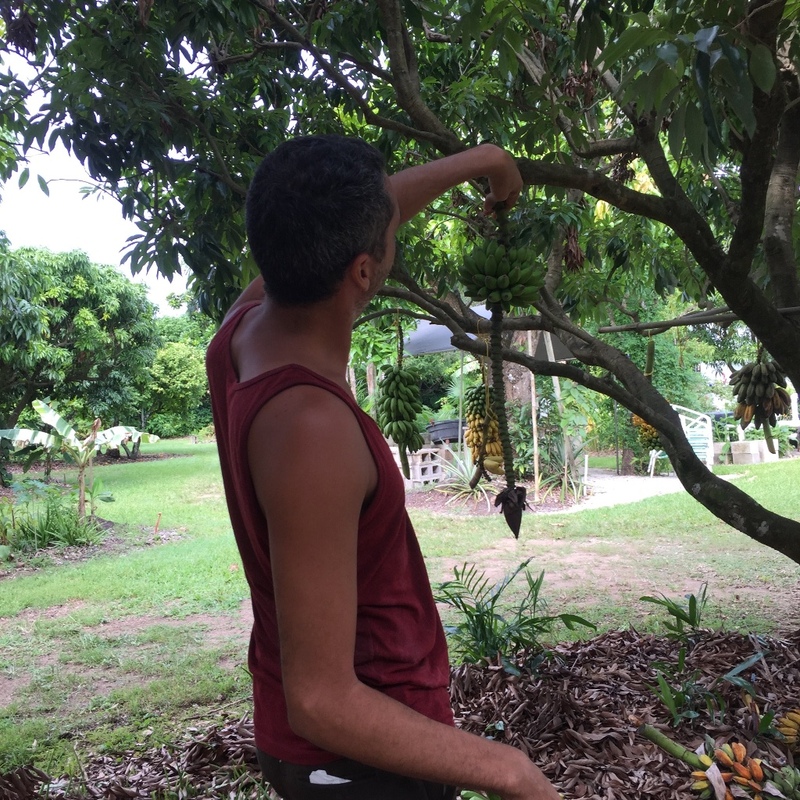 John does a great job at husking coconuts while still keeping the sprout intact! 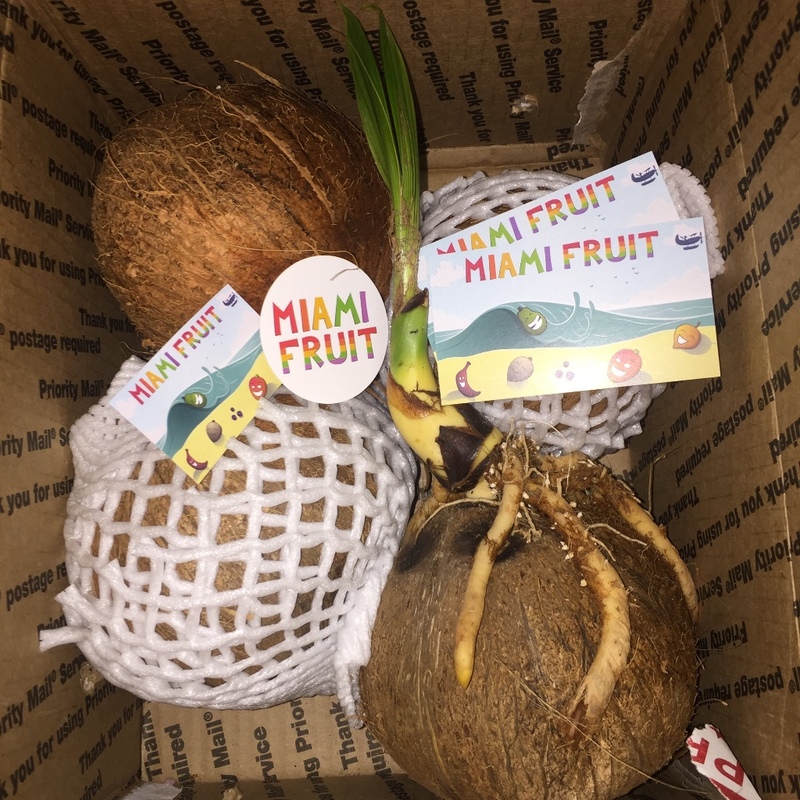 Here is the final result, sprouted coconut delivered neatly in a box at your door!